This maca latte recipe is almost exactly that: a miracle! 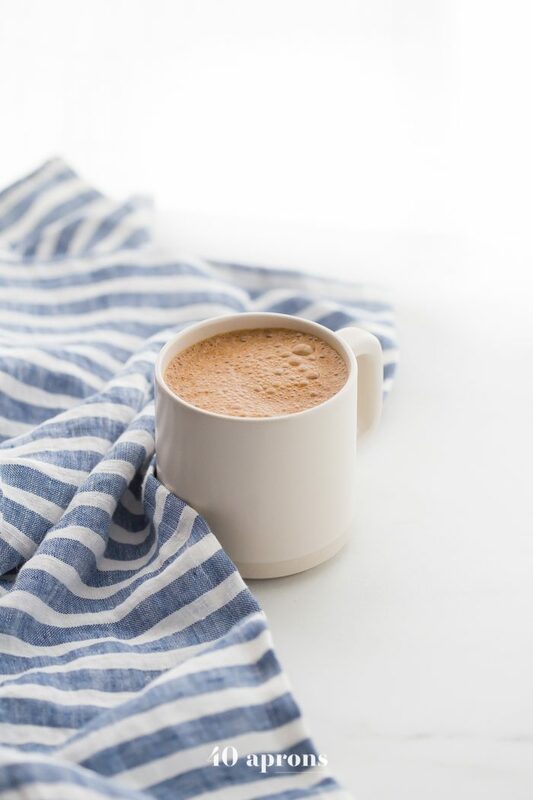 This maca powder recipe is perfect for natural energy, fertility, PCOS, and hormonal balance, and the maca drink is the perfect caffeine-free pick-me-up or replacement for your morning coffee. 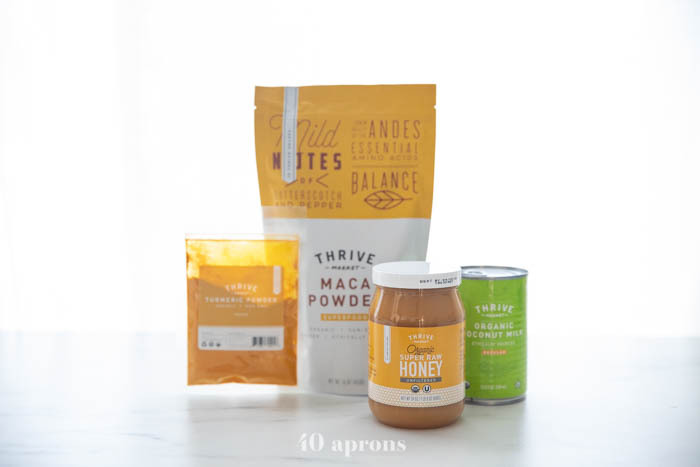 Made easy with Thrive Market. The first time I sipped this maca latte recipe, I knew there was something missing: the word miracle from the title. I’d been a fan of maca powder for years, loving the clean energy it gave me when I needed a boost but didn’t want caffeine, the hormonal balance it supports, and its high nutrient density. 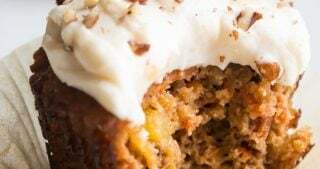 But it was when I whisked it together with coconut milk, cacao powder, cinnamon, cayenne, turmeric, black pepper, and a bit of honey and vanilla extract that it really made the miracle. 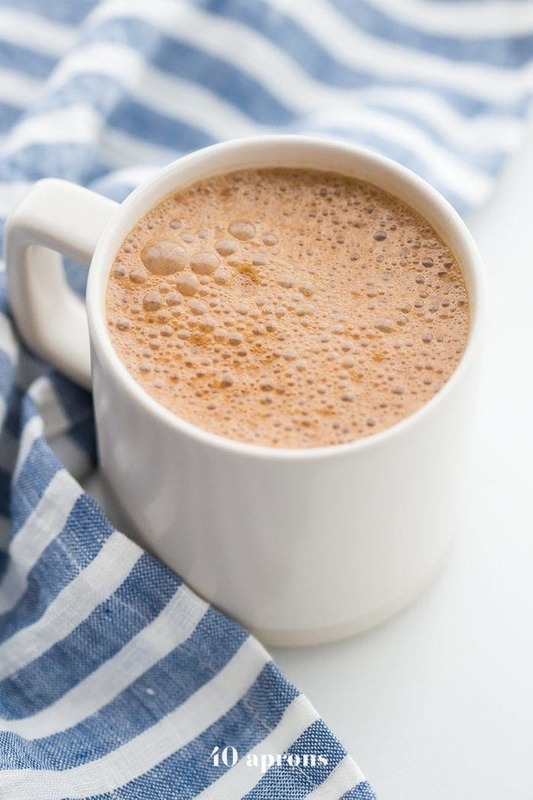 I was inspired by the ancient Ayurvedic tonic, the golden milk latte, combining anti-inflammatory spices like turmeric with blood-sugar-supporting cinnamon, metabolism-boosting cayenne, and curcumin-activating black pepper. The super rich cacao powder also just so happens to be equally rich in minerals, and pair with maca powder? And I started drinking it all the time! 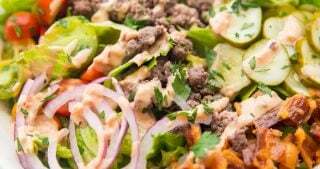 Not only is it crazy delicious, it’s super nutrient dense and packed with superfoods. Here are the details. 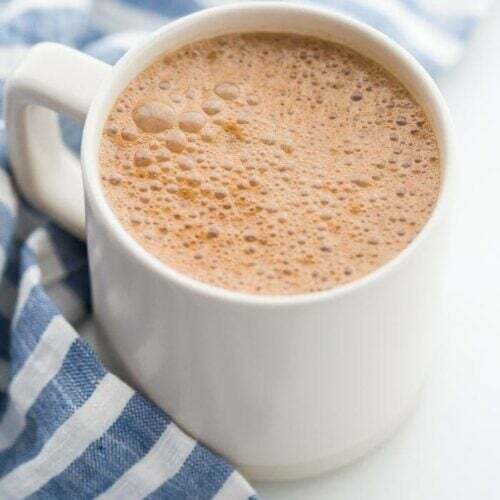 It’s like a cross between hot chocolate and a golden milk latte, with clean, balanced energy you’d want (but wouldn’t quite get) from a cup of coffee. It’s rich and spiced but not overly so. The cacao and maca flavors balance each other and really lay a lovely, indulgent base for the superfood spices like turmeric and cinnamon. It’s vegan (Make sure you use maple syrup or coconut sugar instead of the honey!) and paleo, making it ideal for almost any diet. 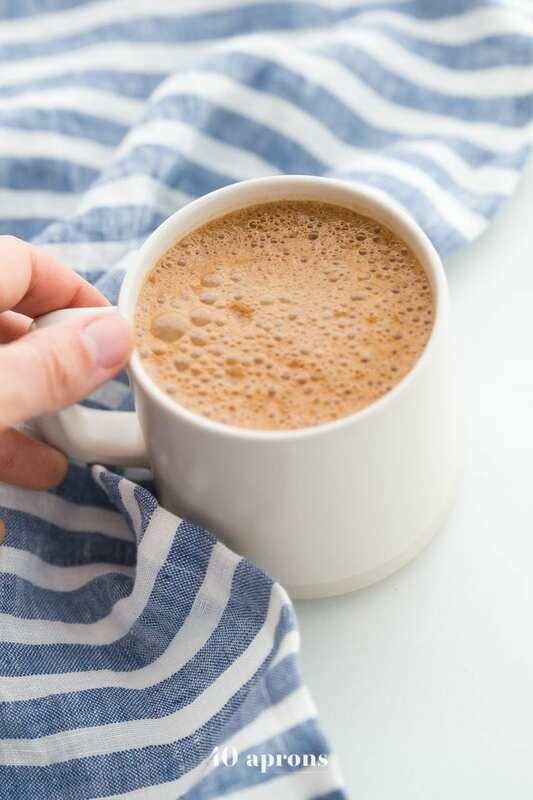 This maca latte recipe is super versatile and can be adapted to suit almost any dietary restrictions. 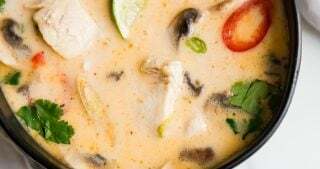 Make a big batch of the spices and dry ingredients then simply portion out a scant 1/4 cup of the mixture and stir in the warm coconut milk, almond milk, vanilla extract, and honey. If you make a big batch, try swapping coconut sugar for the honey, so you have one less thing to add when you’re making a cup! If you’re vegan, swap the honey for maple syrup or coconut sugar. You should be able to swap these out in identical portions. Double the turmeric for more of a golden milk flavor to your miracle maca latte. Use your favorite sweetener if you prefer that over honey. And, of course, make sure you’re using maple syrup or coconut sugar (Or whatever you prefer!) if you’re vegan or making it for someone who is. Increase the cayenne powder for a stronger kick. It’ll stay nice and mild still, just tickling the back of your throat, but it’ll feel great on a cold morning! 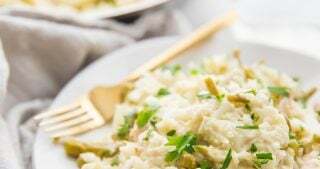 Can I use all coconut milk? Yes. If you have an almond milk allergy, all coconut milk is fine to use. 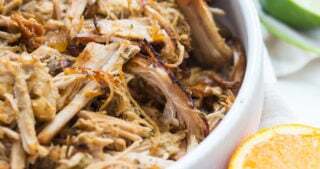 However, you might want to use light coconut milk or coconut milk from the carton. 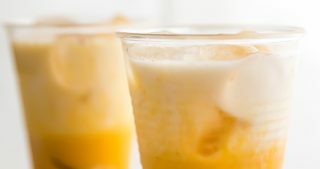 Using entirely full-fat canned coconut milk might result in a maca latte that’s too thick. Can I use all almond milk instead? Sure! Simply substitute all almond milk for the coconut milk. Can I use cocoa powder instead? Absolutely! The proportion will be the same. 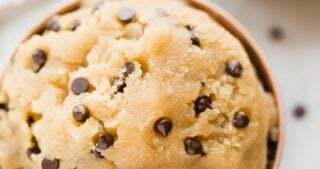 Can I make this in the blender? Sure! It sounds delicious and will be super frothy and smooth. What are maca powder benefits? Maca powder is super nutrient dense. It contains vitamin C (133% of the recommended daily intake! ), loads of copper (85% of the RDI! ), iron, potassium, vitamin B6, and manganese. 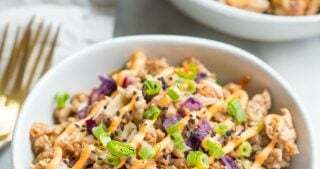 On top of that, it has 4 grams of protein per 28 grams, which is pretty powerful for a little root! It helps balance hormones and is frequently used to help PCOS, menopause, and female fertility issues. It’s known to increase libido in both men and women. Uh, enough said. Maca powder has been shown to reduce anxiety and generally improve your mood. Maybe because of the previous benefit? Just saying. Maca powder delivers clean, stable energy. 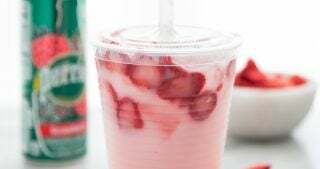 No caffeine jitters! Some studies have shown maca powder to actually improve memory function and learning. And click here to check out my favorite maca powder from Thrive Market. Scroll down just a bit to read more about these benefits. What’s in this miracle maca latte recipe? honey, also known for its clean energy and immune system benefits. You can use maple syrup if you’re vegan. By now, you know I love Thrive Market for so many reasons. Today I want to focus on the incredible range of their products. Listen to this: they sell everything from pantry staples to baby items, and household cleaning products to food for your pets. They don’t just sell groceries and food items! And remember, Thrive Market is an is an online store that sells the all organic, non-GMO products at 25-50% off retail price. Plus, all of their inventory is sorted by values, meaning all of your favorite Whole30 and paleo staples are accessible with one click of a button. What’s even better? With every member who joins Thrive Market, they sponsor a free membership to a low income family, public school teacher, military veteran, or first responder — which truly epitomizes their mission to make healthy living easy and affordable for everyone. And using my link, you’re going to get an EXTRA 25% off your first purchase and a free 30 day trial. I just love buying my pantry staples, baby products (Those diapers! ), and superfoods like this maca powder from Thrive Market. Cheaper + easier = no brainer. How to use maca powder. In addition to making this maca latte recipe, I love stirring maca powder into smoothies and sprinkling it on top of smoothie bowls, granola bowls, or even into your oatmeal. Is this maca powder latte good for PCOS? Yes! Maca is known as a great supplement for PCOS support, because it helps balance hormones, namely estrogen and progesterone. In addition, maca nourishes the endocrine system and is a fertility superfood. Maca powder is an adaptogen, helping balance your hormones without actually containing hormones. Is maca powder good for fertility? Oh yeah, sister! Or… brother. Because yep, not only is maca powder great for fertility, it’s awesome for male fertility and libido, too. I made my husband take maca powder when we were ready to conceive our second child, knowing that studies have shown maca to improve sperm health, support stronger motility, and even increase sperm count. We didn’t have any issues going in, but I wanted to maximize the quality of both our contributions if I could! So make miracle maca lattes for two and drink up, you crazy kids. Maca powder is great for female fertility, too. As mentioned with PCOS, maca helps balance hormones, creating a more regular and balanced menstrual cycle. It also helps support your endocrine system, which is absolutely key to healthy, optimized fertility. And maca is an adaptogen, making it super nourishing without actually containing any hormones itself. Maca powder also helps support healthy thyroid function, another critical element to optimal fertility. It couldn’t be simpler! 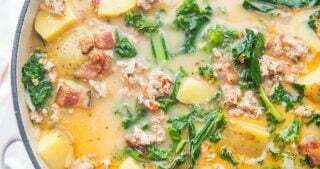 Simply whisk together all ingredients in a small saucepan and heat through. Pour into your mug and you’re all set! 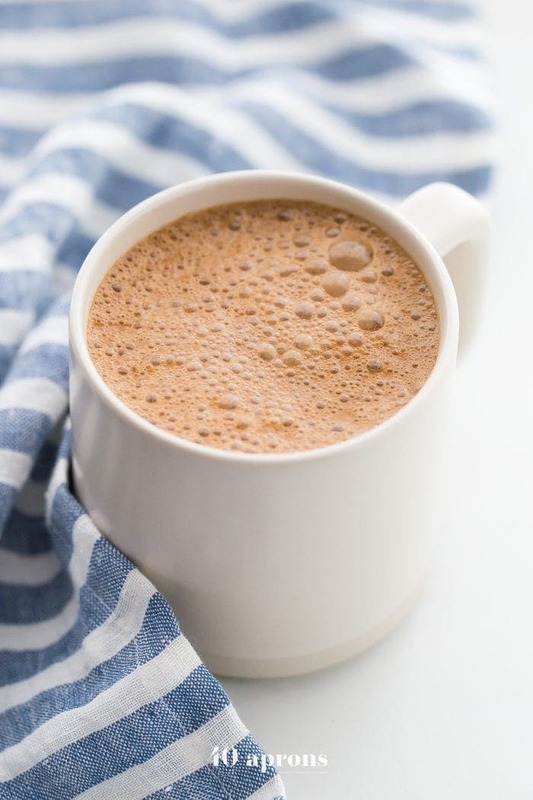 This maca latte recipe is rich and chocolatey but packed with superfoods. 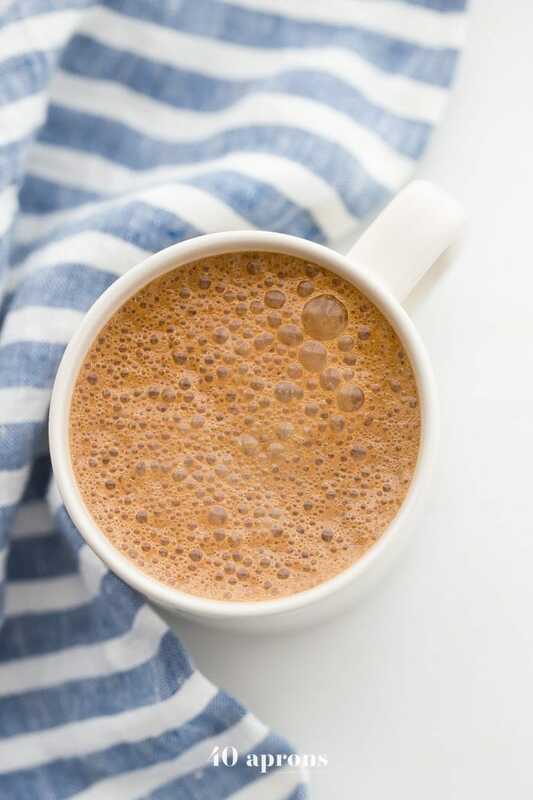 It's perfect for natural energy, PCOS, and hormonal balance, and this maca drink is the perfect caffeine-free pick-me-up or replacement for your morning coffee. Thank you for sharing! It was delicious! Today was my first day off coffee and I’m dying over here. Glad to have an alternative. Oh gosh! Yes, this is definitely my go-to alternative. So happy you like it! Okay. This is a miracle. This latte is sooo good! I was skeptical but I got all the ingredients and am a huge fan. Daily fall treat right here. Thanks so much for the recipe!